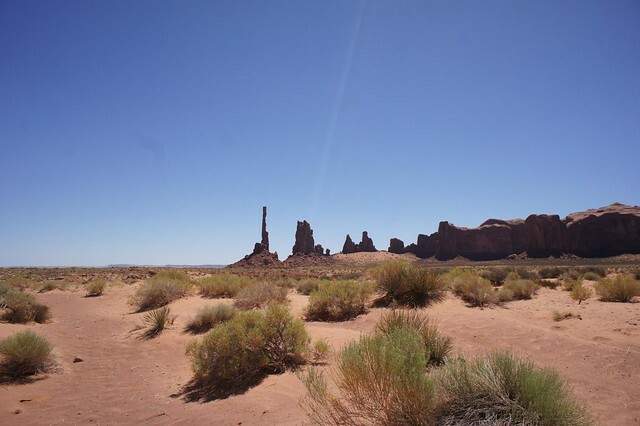 Prior to my visit to Monument Valley, I have to admit (to my shame) that I had never seen a Western. I knew of John Wayne, of course, but the genre of film was lost on me. I decided to do my homework before I went and watched the Searchers, which I was told was a classic. To my surprise, it was a highly enjoyable watch and made me very excited about visiting there. 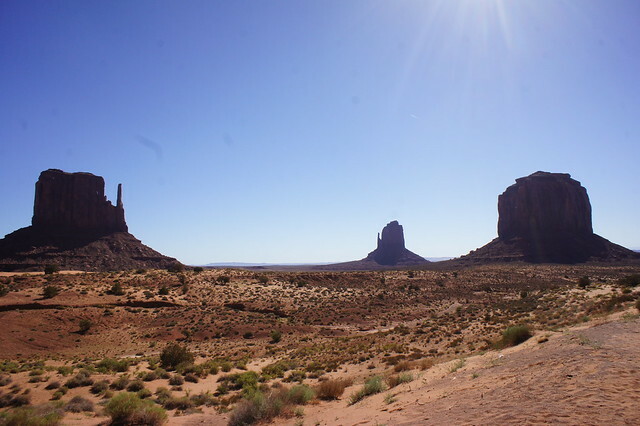 My daughter, at 7, was totally oblivious to who John Wayne was, so I was curious as to what she would make of Monument Valley, but at the same time I was also keen to expose both of us to some Native American culture while we were in the US. In reality, there was absolutely no need for me to be concerned. We set off in an open –top vehicle with our guide giving commentary as we drove. There were many stops along the way, where we were encouraged to get out and take a look around. In addition, much of the explanation was about the large rocks in the area and what they resembled in the Native American culture. My daughter quickly became very adept at recognising rocks in the shapes of elephants, totem poles and many more. As the guide told stories of his childhood of collecting rattle snakes, we got out of the car and looked for tracks in the desert sand. We were also show examples of petryoglyphs, ancient Native American cave paintings. 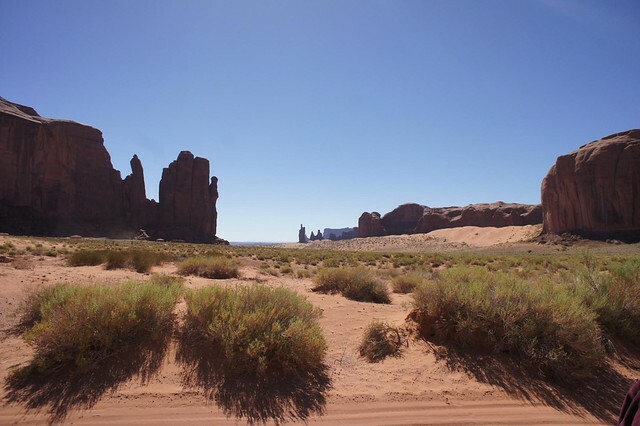 As Monument Valley is in the desert, it does get very hot and so 2 ½ hours was about right for us. 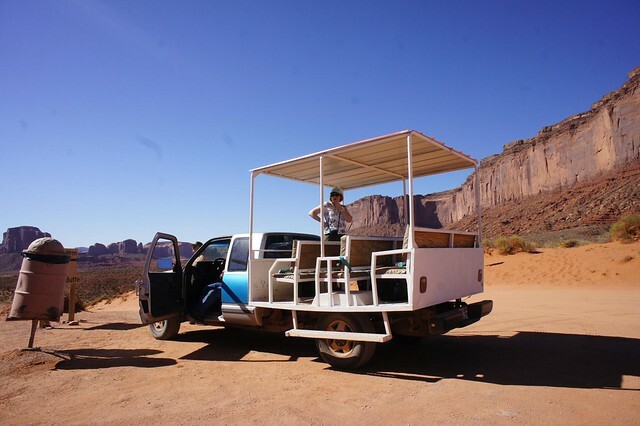 It gave a great introduction to the area and Navajo culture and our patient guide was happy to answer all of our questions. I’m not sure I would recommend a whole day out on tour with kids, but it was an insightful and fun way to see an area that we wouldn’t have been able to visit independently.